Posted on June 11, 2010	by Linda S.
Ready to go.. ;o) If you are anywhere near Sherman, TX on the 19th of June, drop into the Red River Historical Museum between 9:30 and 12:30 and join us… We’d love to have you! This entry was posted in Announcements, Card Weaving, Classes, Crafts, Handcraft, Handwork, Historical Textile, Tablet Weaving, Teaching, Weaving. Bookmark the permalink. 7 Responses to I’m Finished…!! Great Job on the designs they look great. They are good enough to be sold at the market. The bands are beautiful! 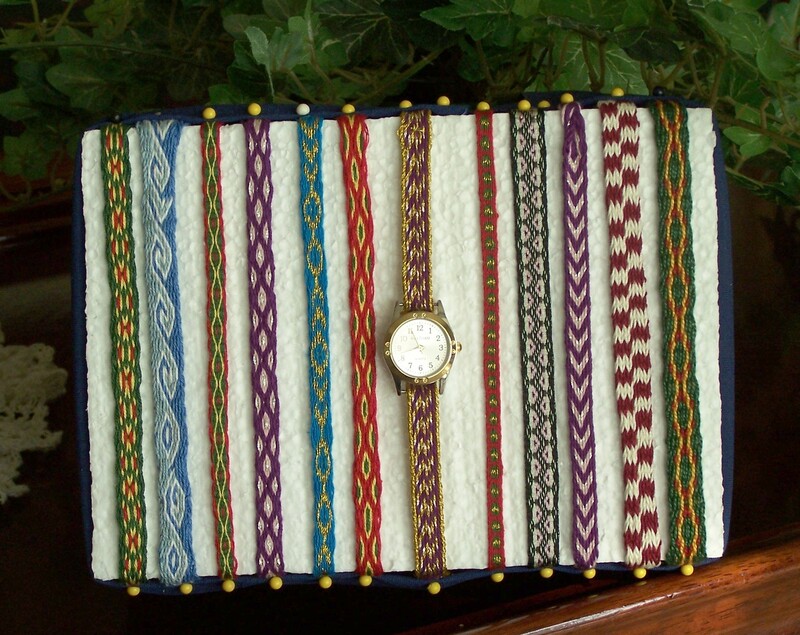 I still have to try tablet weaving, but have been there when it comes to classes and lectures that take lots of samples and prep work. WOW!! I wish I was one of your students. I just got a book on card weaving and am going to be experimenting real soon. Can you tell me what are the weights for? I’m Marianne, Linda’s trusty friend who is honored to assist her in her classes. (As if this talented lady needs any help!) Its such a blessing for ME as I get to watch and learn from her firsthand. It was so much fun watching the ladies enjoy their first tries on a card weaving loom. Believe me, the watch bands and Linda’sother work you see here on her blog are more beautiful in person.! Reading your entires, I wish all of you here could join us in our next class. This post, plus your one with the tablet weaving video on 24 August 2009, has inspired me to make my own tablets for weaving and complete a simple design 45 cm long. It was a good challenge and fun. 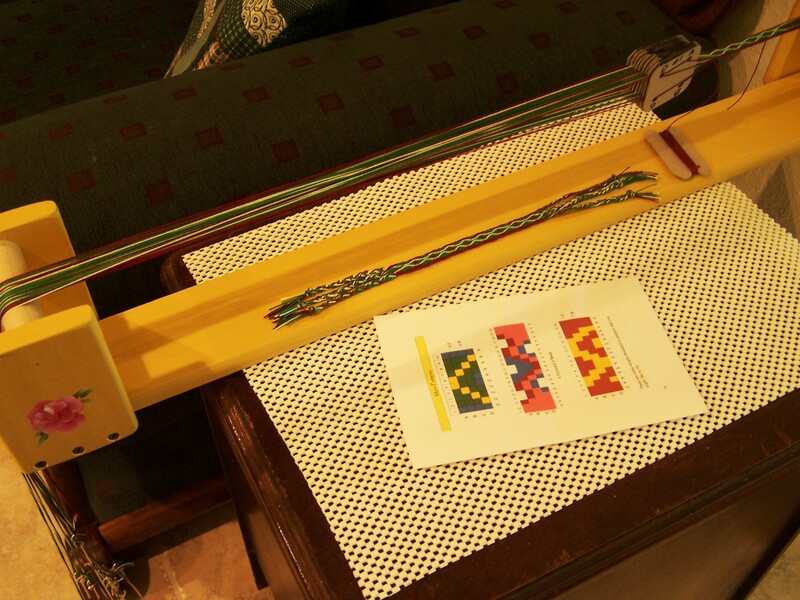 And to think that two months ago I didn’t even know tablet weaving existed! 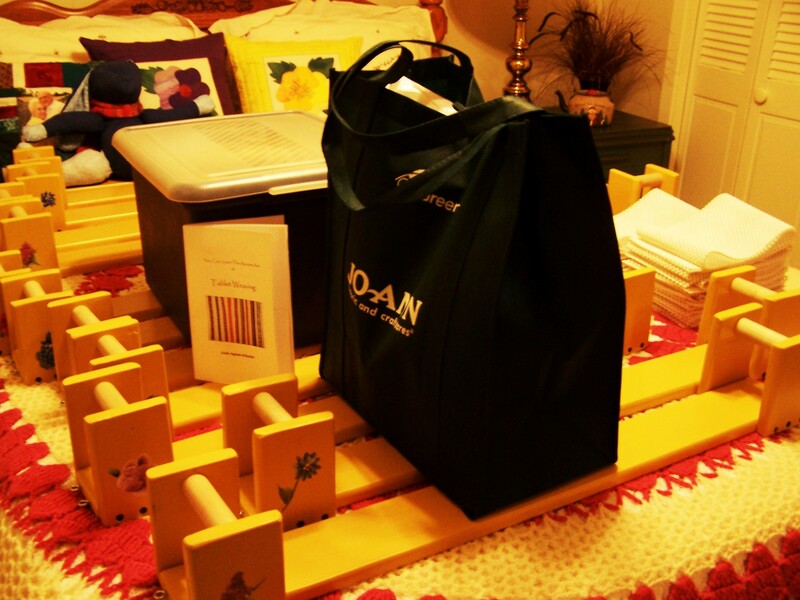 When is your card weaving class coming to the Brandon, Fl super JoAnn store. This looks like a wonderful class.